Michigan Avenue Internists (Chicago) - Book Appointment Online! 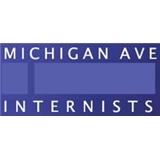 Welcome to the website of Michigan Avenue Internists, LLC An Internal Medicine & Allergy practice. Serving the Chicagoland area for over forty years, we have a long and proud history of providing exceptional medical care to a wonderfully diverse patient population. We are a group of eleven physicians, all university-trained and board-certified. Our physicians are all affiliated with Northwestern Memorial Hospital and actively participate in the education of medical students and residents from Northwestern University – Feinberg School of Medicine. We are conveniently located in the heart of Chicago on the corner of Michigan Avenue and Adams Street across the street from the Art Institute. Go to our location. Dr. Ballintine is thorough, kind, and the most prompt doctor I've ever seen! Dr. Sabin was amazing! I had seen another allergist before who wanted to put me through every test under the sun, requiring 5+ appointments. Dr. Sabin focused on what made the most sense for me without wasting my time or money. I accomplished what I needed in one appointment with him what would have taken numerous appointments elsewhere. He was kind, relatable and made me feel understood and comfortable. I would highly recommend him to anyone looking for a great allergist!